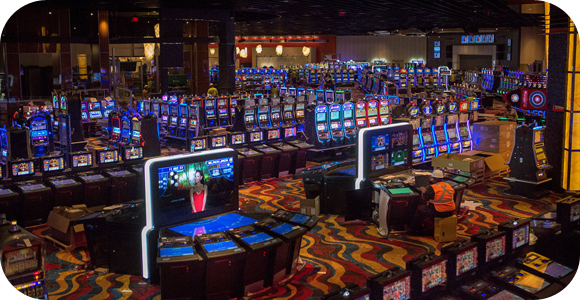 Ever since Massachusetts allowed the first slots parlor to open, the Plainridge Park Casino opened doors on June 24 and have already been making great amounts of revenue. During their first full month, July, they were able to bring in $18.15 million. However, Plainridge may be getting some competition soon. A man named Eugene McCain has filed notice to try to get the question of adding a second parlor in the state on the November 2016 ballot. This would be great for the state, but it seems there are also other ulterior motives behind the ballot. George Carney, owner of the Brockton Fairgrounds, seems to want to build a racetrack in Suffolk Downs, and the ballot language McCain uses requests that the slots parlor be built within 1,500 feet from a racetrack. This seems pretty convenient for both of these men. However this may seem, it is still a good move for Massachusetts to allow a second parlor to open, as it would bring more competition, as well as revenue for the state. Players may have to wait until 2016 to see if a second slots casino will open, until then, Plainridge will have exclusive rights and continue with their success.